“As a result of the increasing influx in refugees, WFP is experiencing a critical shortfall in funding. This will result in a break in key commodities commencing in November 2016. Under the current circumstances, WFP will be forced to reduce rations unless new contributions are received. A full pipeline break is expected in January 2017,” says a statement released by the WFP. 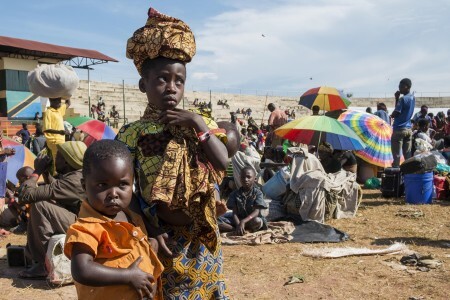 Since April 2015, 162,000 Burundians have entered Tanzania, raising the total refugee population within Tanzania to 232,000. The WFP, which provides hot meals to incoming refugees as well as dry rations and supplementary feeding to all refugees, says it requires $7.6 million USD to meet the basic food needs of all refugees until December. To provide food for another year, they’d require $63.6 million USD. The Burundi crisis was sparked when president Pierre Nkurunziza announced plans to run for a third term, which he won.